At Spa Nijoli, we are continuously learning about new services that will benefit our clients and this new service will surely become a fan favorite. We are excited to introduce you to a new treatment from Dermalogica, The Pro Power Peel! This peel is Dermalogica’s strongest and fastest peel yet, so you’ll see results after just one treatment. 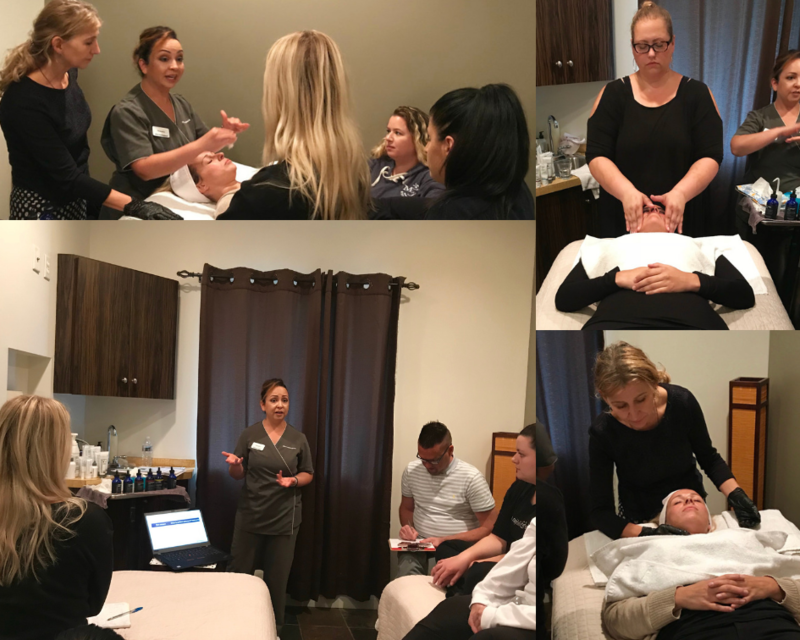 Our estheticians just completed a hands on training with Dermalogica instructor, Waleska Torres, on this new service that we know you’ll love just as much as we do. No one has the same skin, so why should everyone have the same peel? We each have our own individual skin concerns, ranging from uneven skin tones and breakouts, to fine lines and wrinkles, and Dermalogica has created multiple formulas for each esthetician to create a personalized treatment to benefit your skin the most. To begin your 60 minute treatment, your skin will be cleansed and prepped for better peel penetration. Next, your esthetician will begin to apply your custom peel. Some tingling may occur, don’t worry, that’s the peel doing it’s job, but make sure to alert your esthetician if the tingling becomes uncomfortable. After your peel application is complete, a Neutralizing solution will be applied to help soothe and normalize your skins pH. Finally, a Dermalogica finishing mask is applied to conclude your service. At the end of your treatment, your esthetician will give you a complimentary Post Procedure Kit to help prolong the benefits of your peel at home. Moving into the Fall season, now is one of the best times to have a peel. Coming out of the summer months, our skin has been exposed to a higher UV and the Pro Power Peel will help to rejuvenate and repair your skin.